Rewilding: Work In Progress, 2017 – Ongoing. Following on from Thx 4 The Memories and Vestiges, Rewilding is a continuation of my efforts to document the post-earthquake evolution of one Christchurch red-zoned suburb. 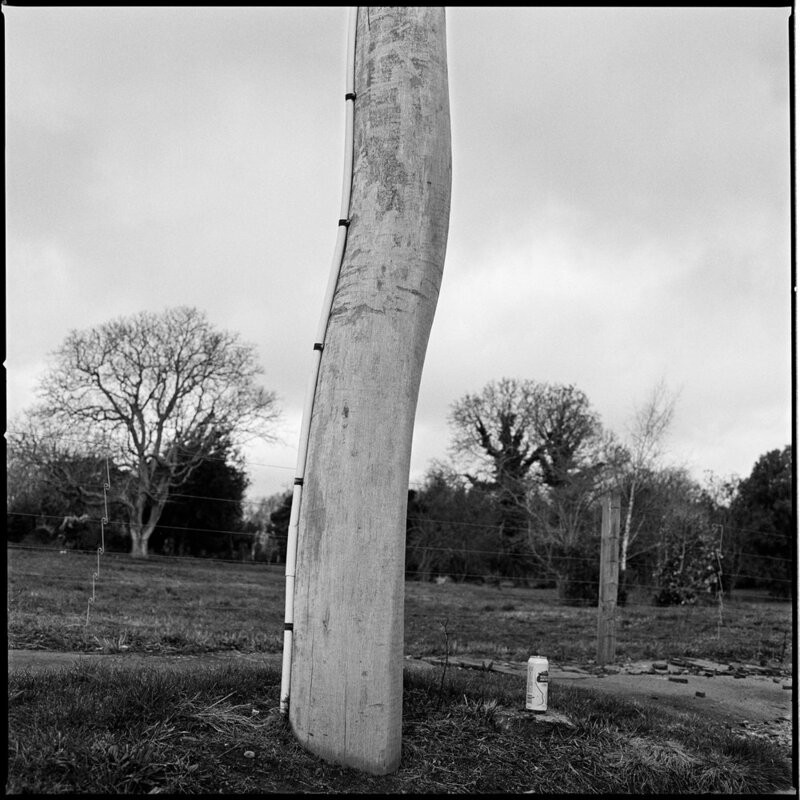 After photographing Avonside intensely for six years and feeling increasingly over-encumbered with my large format camera–not to mention fatigued by a project with no foreseeable end–I made a conscious decision to change the way I photographed the area. Once a week since July 2017, with only a handheld camera and single roll of black and white film, I have parked my car near the Swann’s Road bridge and tried simply to enjoy a series of leisurely walks along the banks of the Ōtākaro River. Tired of attempting to capture highly detailed, colour-saturated images that broadly pictured day to day and season to season change, on these walks I felt compelled to loosen up and point my lens at things that in a very basic sense caught my eye, be that for aesthetic or symbolic reasons. 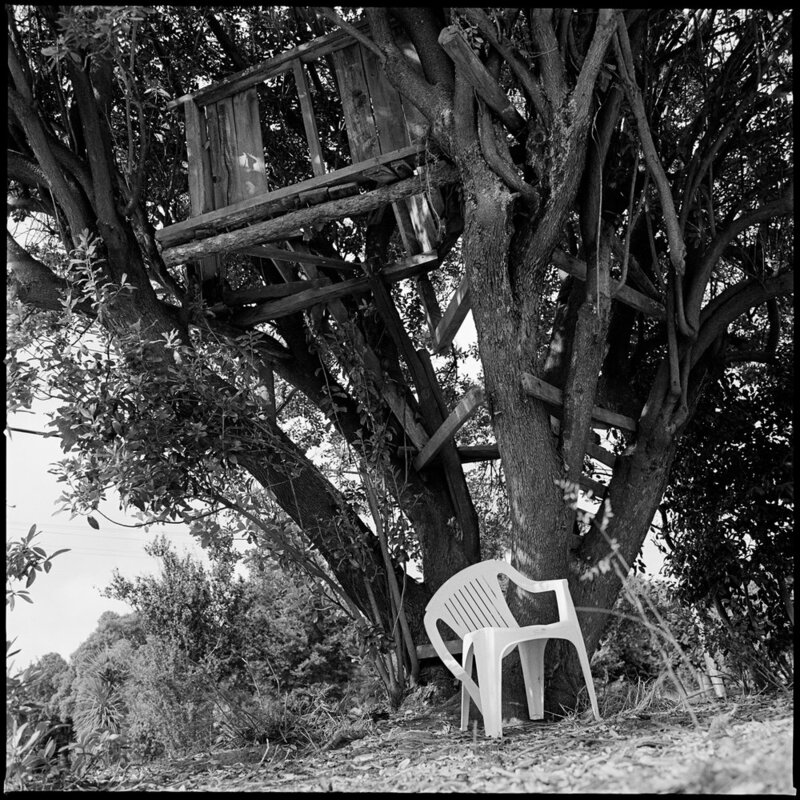 The shift to using black and white film–I shoot primarily with a high-resolution, digital medium format back on a technically laborious Linhof view camera–was born out of a somewhat nostalgic desire to reengage with the basic photographic processes that formed the base of my practice; to concentrate more on light and abstract form and the production of physical things by hand, in the meditative space of the darkroom. The images in this gallery constitute a distilled edit of these ongoing efforts.